Topics: How It Works, Speaking, Quotations, and Wild Apricot. Age: It went live on November 16th 2001, making it over 16 years, 5 months old. It is hosted by Maximumasp Llc (Kentucky, Louisville,) using Microsoft-IIS/7 web server. 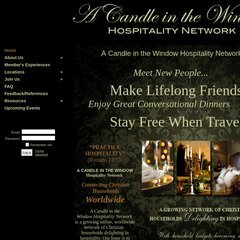 Acandleinthewindow.com's server IP number is 66.29.208.61. There are 2 Nameservers, ns1304.websitewelcome.com, and ns1303.websitewelcome.com. PING (66.29.208.61) 56(84) bytes of data.